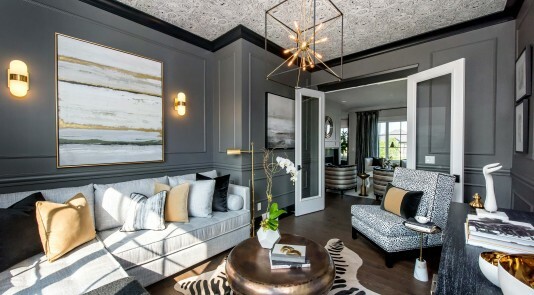 Celebrity designer Andrew Pike proved once again that adding interior finishings to a space can make a huge impact. Not to mention, it’s simple and affordable for the DIYer in you! 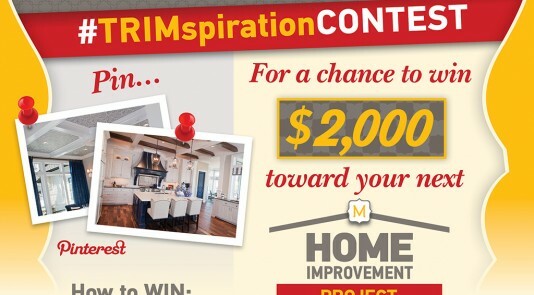 On Tuesday, during the season six premiere week of The Marilyn Denis Show, Andrew stunned us with his DIY ability. 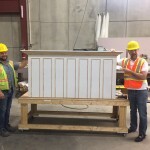 He transformed a simple slab door into an extraordinary headboard using Metrie mouldings and materials found at your local hardware store. 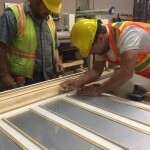 cutting, nailing and DIYing with crown and panel moulding! 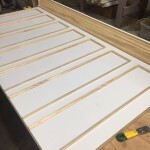 Andrew created this incredible headboard by cutting a plain white flush door down to size and adding crown moulding and flat stock along the top to add height and depth. Andrew then added panel mould to create the illusion of recessed paneling. In the panels, Andrew attached seven chrome kick plates and polished it off with a coat of dark stain. With its combination of traditional colonial lines and modern chrome paneling, Andrew hits the nail on the head with this eclectic statement piece. He also paired the headboard perfectly with graphic black, white and yellow accessories. Click here to watch the segment. The headboard was not all Andrew had in store for us. About a year ago, Mark and Jenny lost their family home and dog in a tragic house fire. While the family had rebuilt their house, they struggled to make the house feel like home again. In the frenzy to put everything back together, their nine-year-old daughter’s bedroom had developed an unfinished and cluttered feel to it. They wanted Bella to have a space that truly reflected her interests and personality. 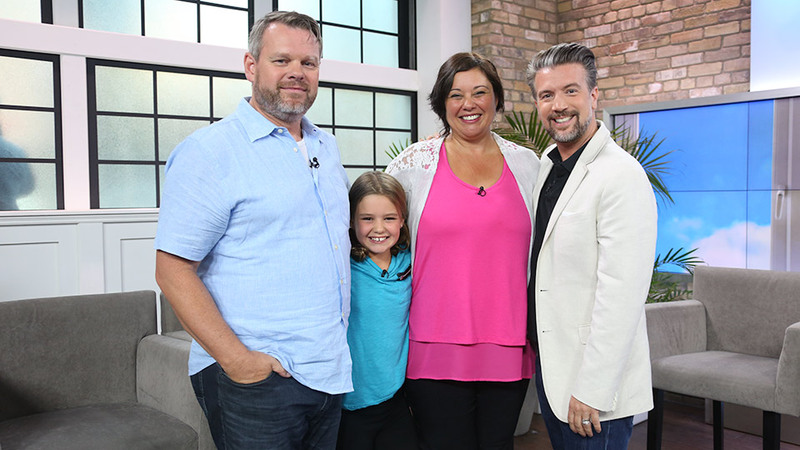 Hearing this touching story, Marilyn and Andrew decided to give Bella the surprise bedroom makeover of her dreams! With Bella’s love for horses, Andrew was inspired to create a unique bedroom with an urban barn feel. To achieve this look, Andrew incorporated simple, yet high-impact statement pieces using Metrie products. To add dimension to an awkward sloped wall, Andrew added Metrie’s knotty pine tongue and groove paneling, which he then white washed. Andrew also wanted to replace Bella’s plain white interior door so he created a custom Dutch door using Masonite doors and Metrie trim. The Dutch door, which is a project for the more advanced DIYer, involved hanging two flush door slabs, using a piece of flat stock for a shelf and then topping it off with applied moulding to add dimension and character. Since no horses stable is complete without a pop of color, Andrew finished off the custom door by painting it a bright cobalt shade of blue. Click here to see the makeover unfold and watch Bella’s reaction to her new room. Andrew’s DIY projects don’t just illustrate how easy it is to customize your space, they prove that anyone can build something truly unique. With a little creativity, patience and practice, you can build your own rustic getaway! variety of wood species and materials, ideal for trade professionals and DIYers alike.